Please be on the look out for a boys 12 F shoe that has gone missing after PE. If you locate it please let us know and return it on Monday! This week we have been learning about Australian animals by reading Possum Magic and Wombat Divine. We have found out some really interesting facts and used these to describe our animals using 2 A sentences. 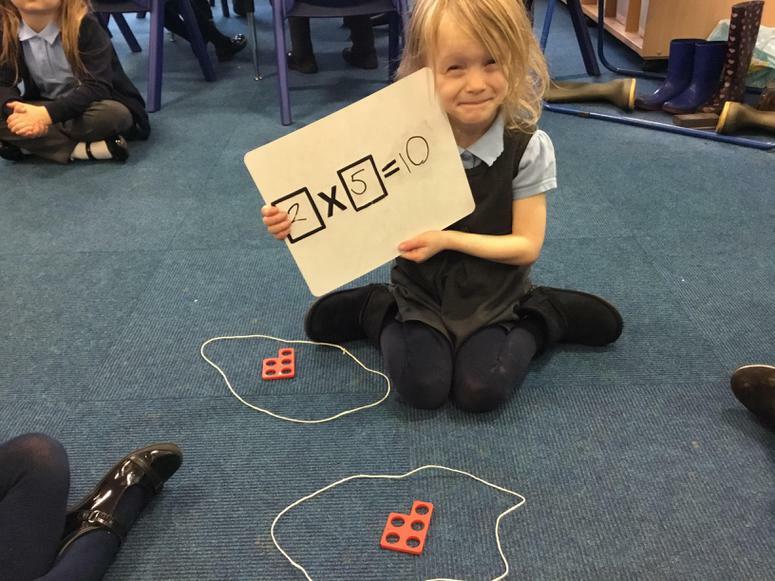 In Maths we have begun to add using number lines. First we must apologise for not keeping you up to date - sometimes I just run out of time! 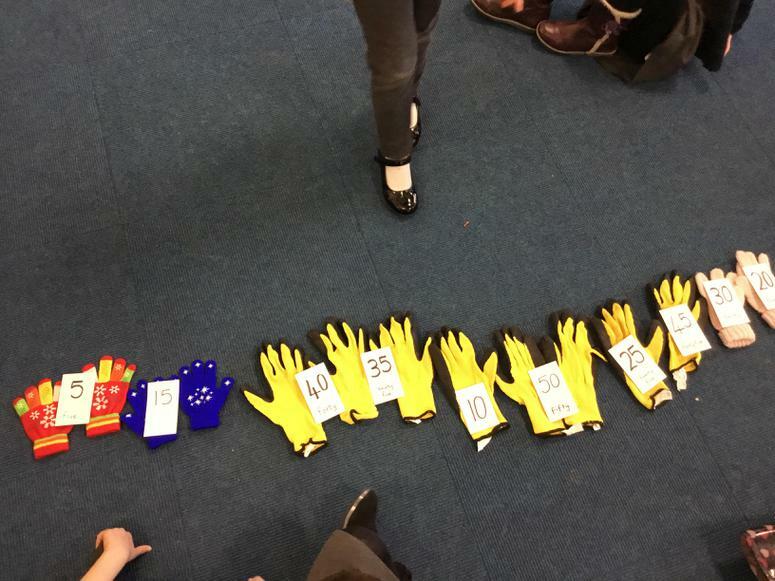 This week we have been making numbers outside with Cuckoo Class. Welcome back to all Year 1 children. We have had a very busy start to the term. 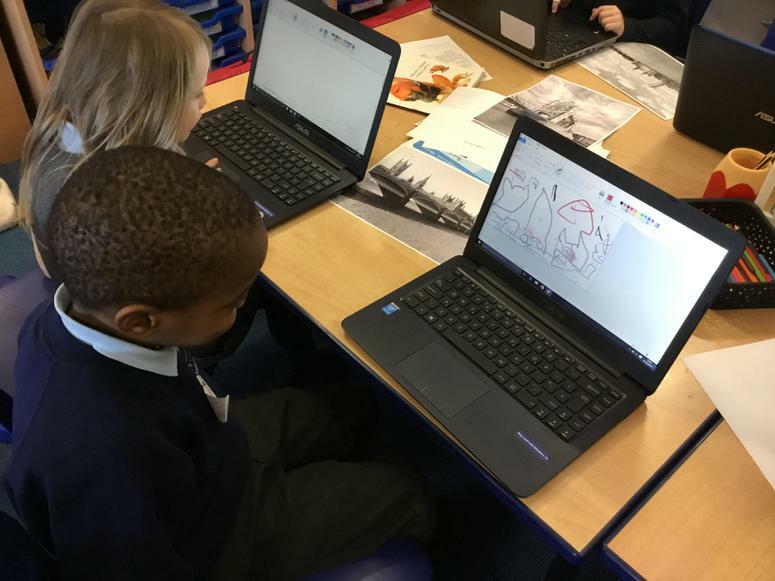 So far we have been doing colour mixing to make rainbows, choosing a character from the Wizard of Oz, creating class birds ( in Blackbirds we did amazing collage) and starting our ICE Zone topic of Castles. We designed shields to show our personalities and used castles as a base for some Maths. 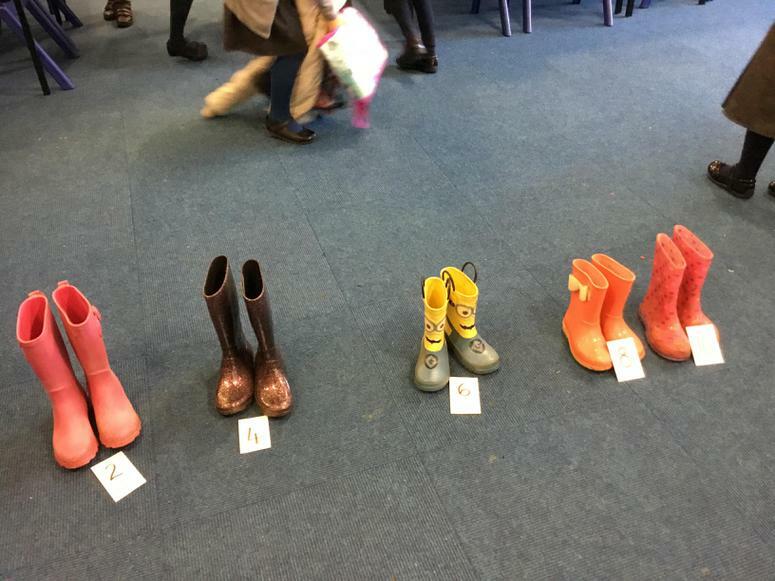 This afternoon we became detectives to find out who had left their things on the school field (pictures to follow). We have all worked really hard. Please remember PE is every Friday. Finally in Year 1 we try to encourage the children to be independent by signing up for their dinners and changing their own reading books. Books can be changed every day and we encourage you to read with your child every day for around 10 minutes. Reading diaries are checked and if a book is finished your child will be encouraged to go and change it. If you want to keep a book and read it again please make a note in the diary. 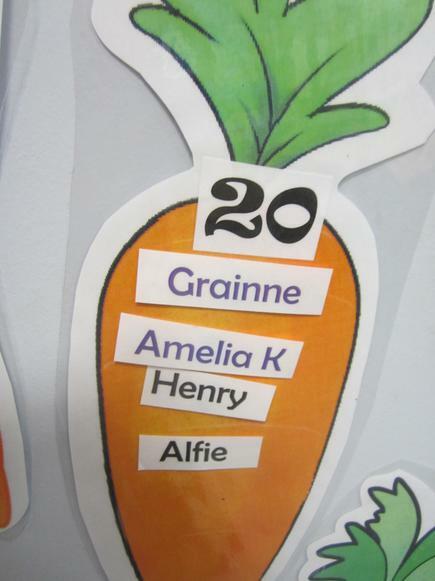 We work towards reading certificates for 25, 50, 75 and 100 reads over a term (only 1 read a day will be counted) and have a progress chart in the classroom for the children to see how they are getting on. Please remember to write in the diary so we can see that they are reading. What a busy first week back! To start the week we finished off our book Wombat Stew by making Wombat Stew. It tasted yummy and didn't poison us like it did dingo. 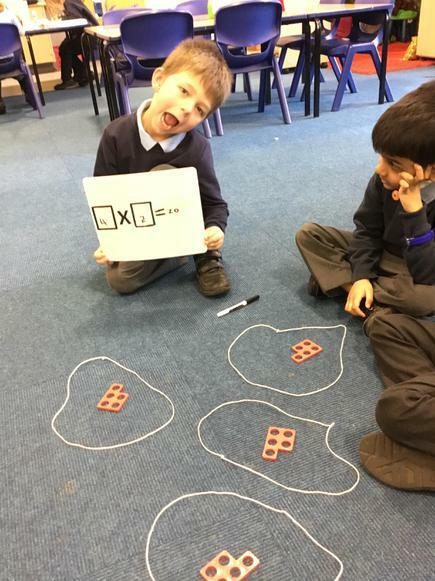 In Maths we were trying to use division to share objects between 2 people. We found this quite tricky. 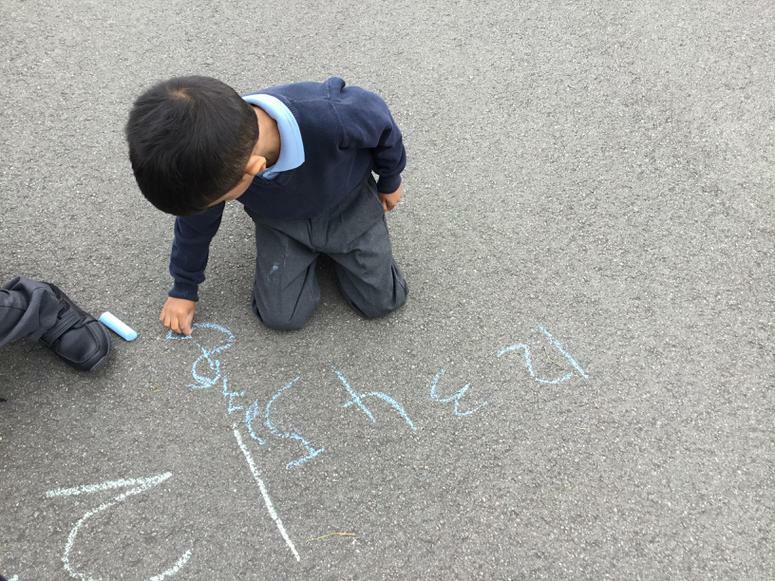 In Science we started our new topic of Materials by searching in the playground for objects and trying to identify what material they were made out of. In RE we learned about Lent and how Jesus spent 40 days and nights in the desert. We also found out about his temptations. We also walked into town to visit the church. In English the children have been designing and describing new pants for the aliens to stop them coming back! 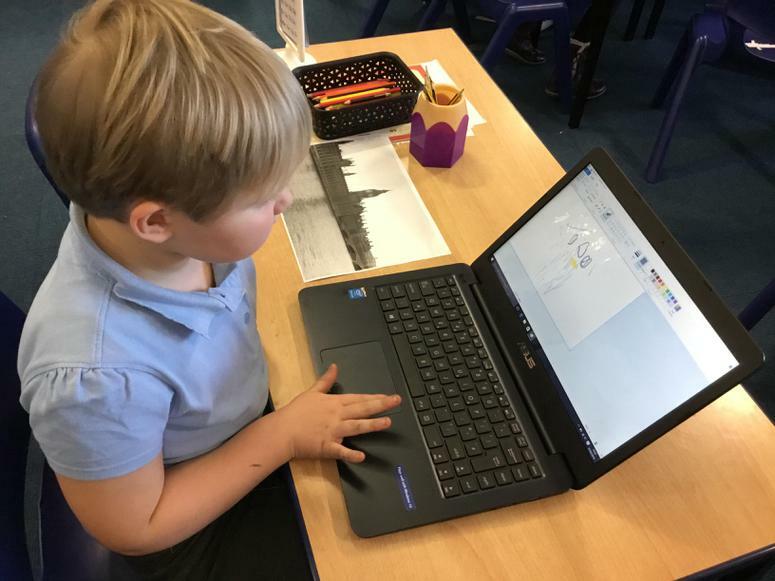 We also used the Mighty Writer to write sentences for the end of the story. 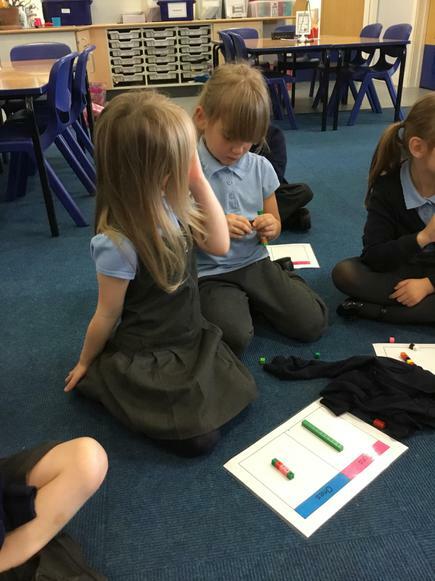 In Maths we have been working on place value and trying to represent the number in using dienes. 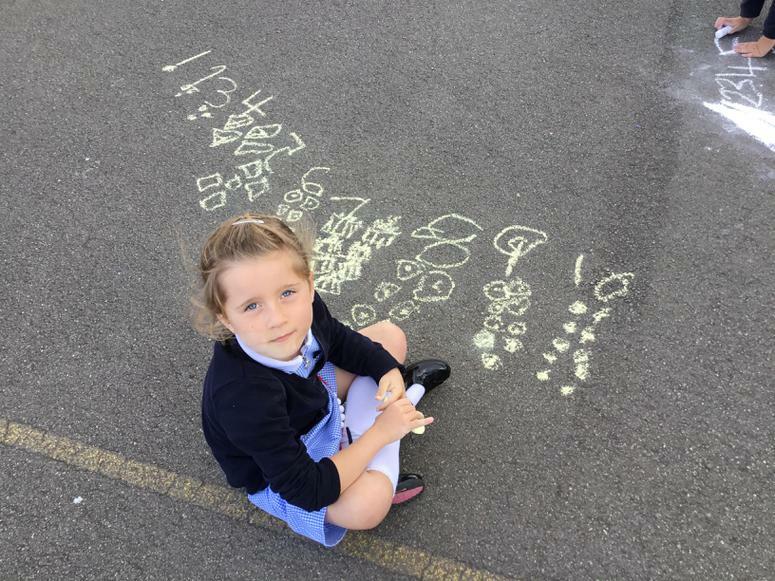 We have also been practicing writing numbers in words. in Science we have been looking at our sense of touch. We explored different items in a box and tried to describe them to the rest of the class. We finished of the week with a bit of Cosmic Kids stretching and yoga style exercise. 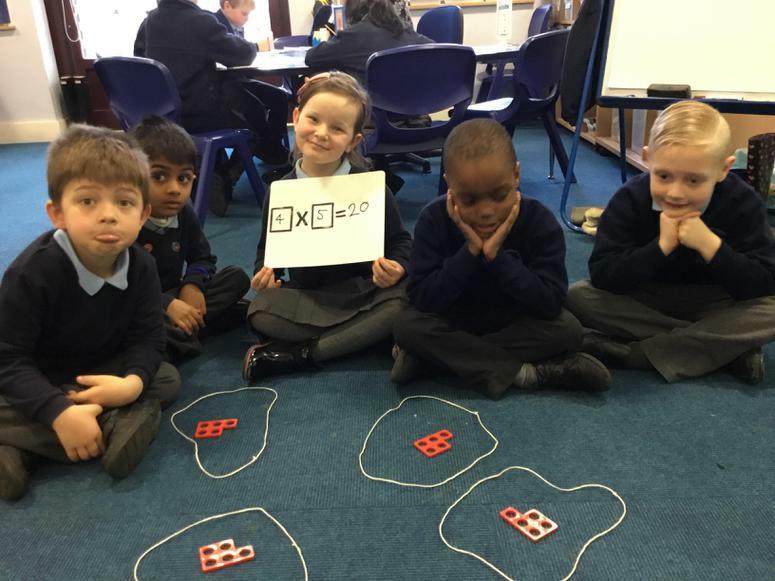 For the past couple of weeks we have been learning about multiplication in Maths. Many of use have found this quite tricky to understand. We started off with repeated addition and then counted the number of times we added the number. 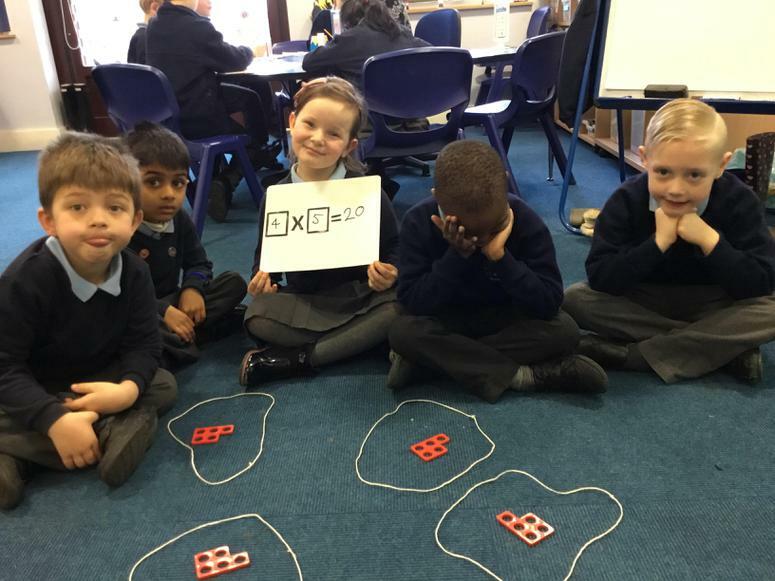 Then we used the x to write multiplic number sentences. In English we have continued to read Wombat Stew. 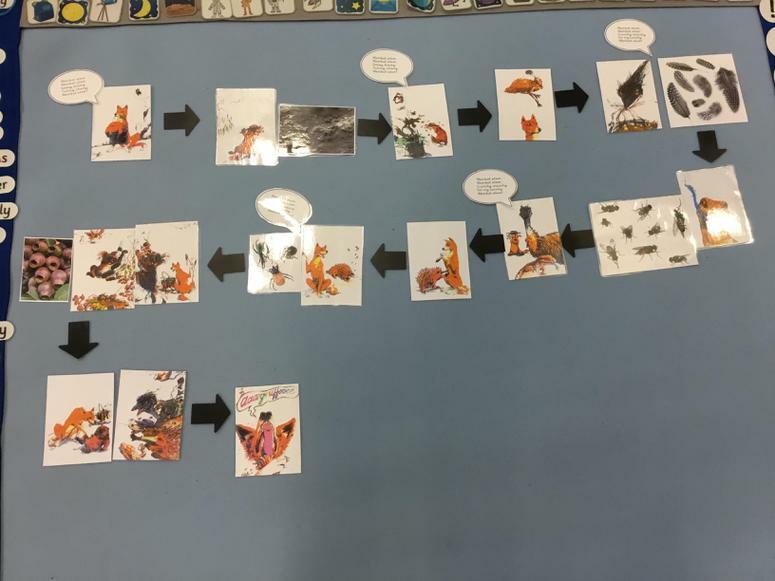 We have made story maps and written our own stories. We also added the ingredients and wrote instructions for someone else to make Wombat Stew. 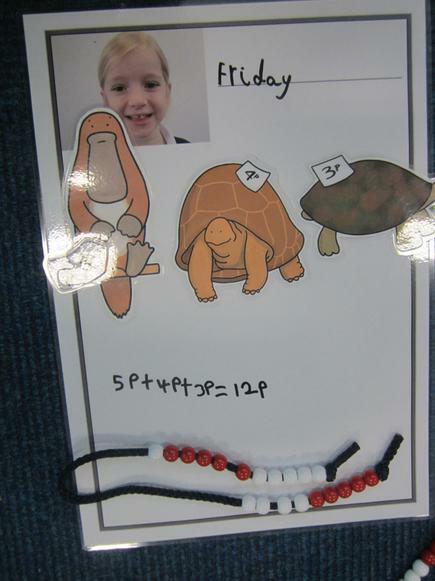 In Science we have continued to find out about animal.This week we looked at classification. We sorted animals into family groups - birds, reptiles, mammals, amphibians, fish and insects. We also had an arty afternoon on Wednesday to help us lear all about Claude Monet. Please remember that we all need to bring our reading diaries to school every day and that PE kits should be in school all week. Homework must come back on a Tuesday. Have a great half term and see you all in a week! 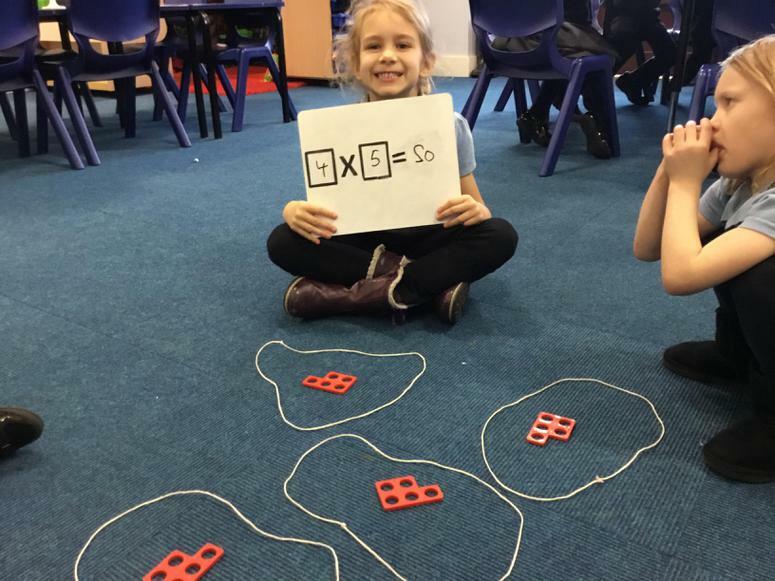 In Maths this week we have continued to work on whole-part models and showing these as a written number sentence. In English used the Mighty Writer to rewrite the story of Aliens love Underpants. Then we used our story pictures to write the story ourselves. In Science we used our sense of smell and taste to identify smells we liked and taste sour, bitter, sweet and salty tastes. We were all very brave tasting things we didn't usually taste! Busy couple of weeks in Blackbirds. 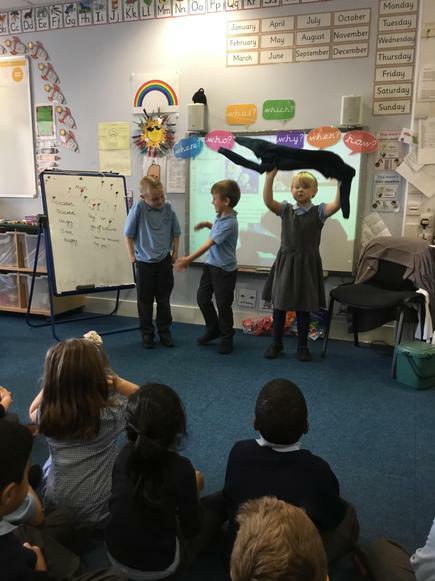 We have been getting to know our story, Aliens love Underpants, through drama and writing. We have described the aliens and the settings. 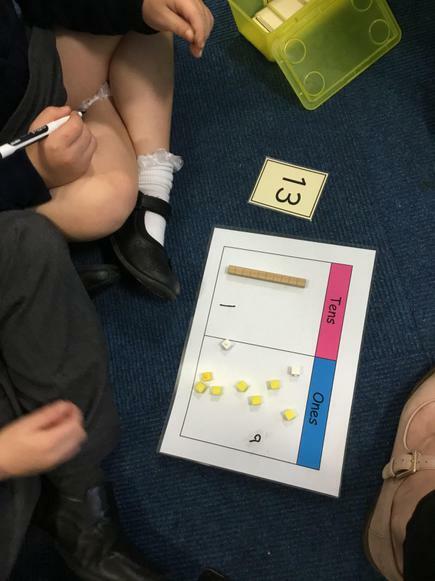 In Maths we have been getting to grips with place value and tens and ones. 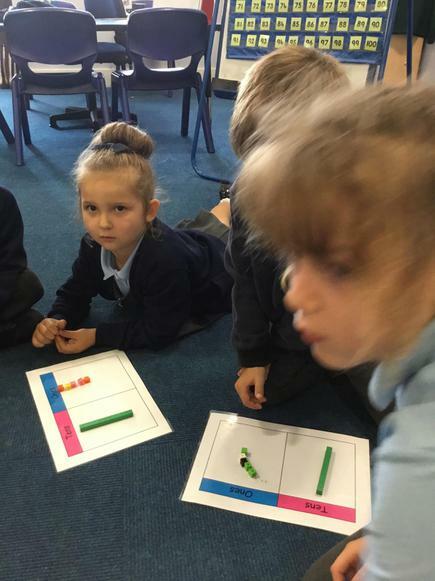 We have used dienes to show different numbers. In Science we have been learning about the senses and how difficult it is to be blind! This afternoon we did some Cosmic Kids yoga as part of PE, the children's were all brilliant at listening and taking part. Despite all the rain this week, we managed to have the best afternoon ever on Thursday. This was part of National Outdoor Day. Huge thanks to Miss Alison Abbott who planned amazing, creative activities for all of Key Stage 1. The teachers were so impressed with the children - everyone was busy, busy learning for the whole time !! We made butterfly feeders, bug hotels, wood louse mazes, insect traps, walking trail cards and lots more. This week in English we have been continuing to observe and describe the animals of the Savannah, and finished with writing some really beautiful poems. 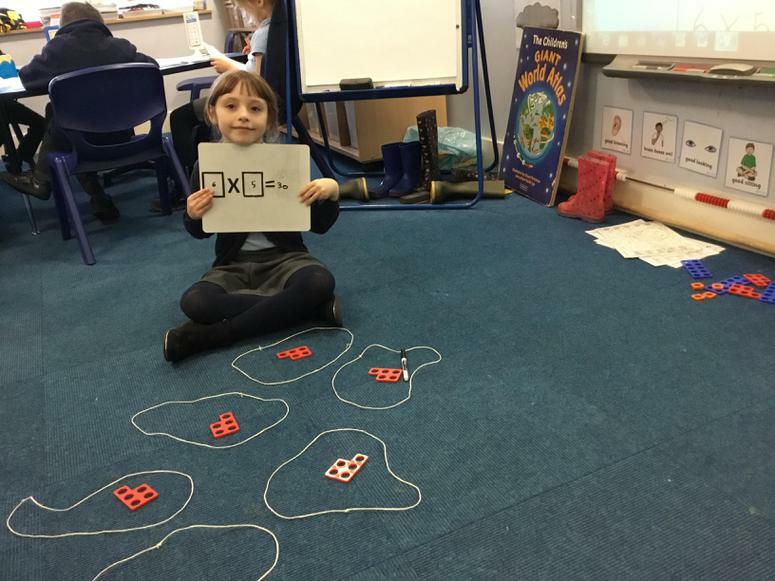 In Maths we have been getting really great at knowing one more and one less than a number to 100, and also looking at the patterns in the 100 square to see 10 more and 10 less than a number. 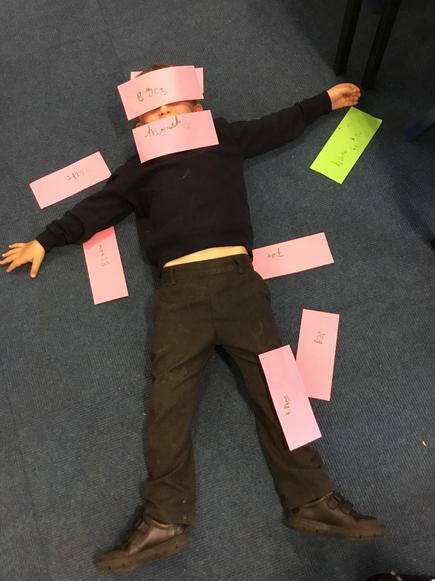 The funny photos are the children making the answers to number sentences (7+4 and 9+5 I think!) I am so impressed with the children's efforts to learn their cursive writing - it is amazing to see. A shorter but just as busy week in Blackbirds full of good news. 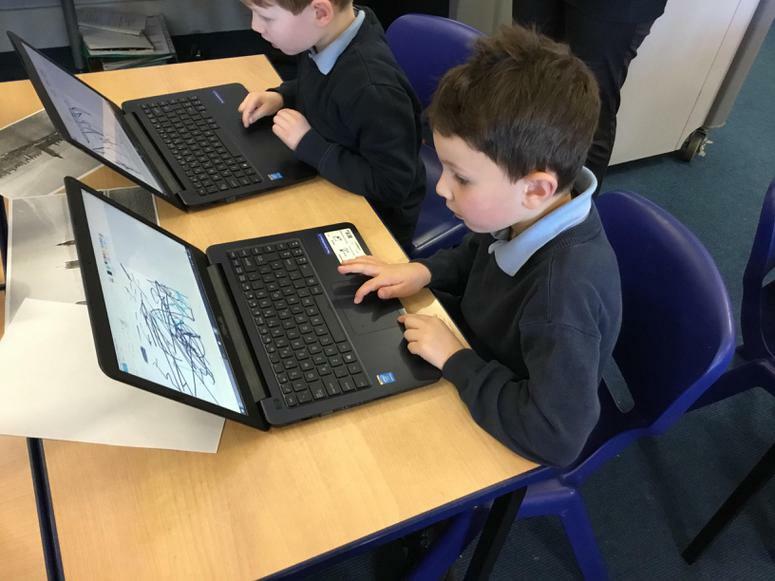 Firstly we had 2 staff members comment on the excellent presentation, neatness and handwriting in the books of the children in Year 1 - fantastic news. 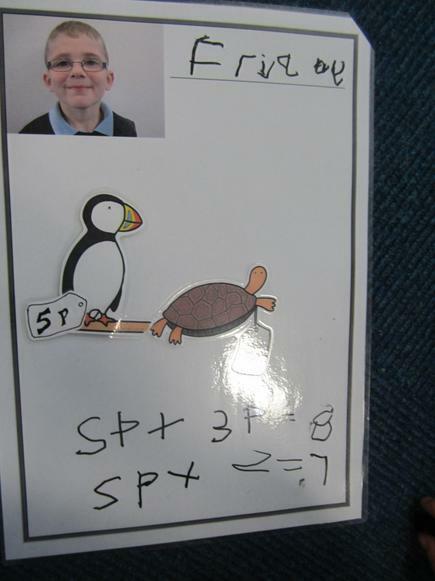 I have also been so impressed with the mature learning behaviours shown by the class. 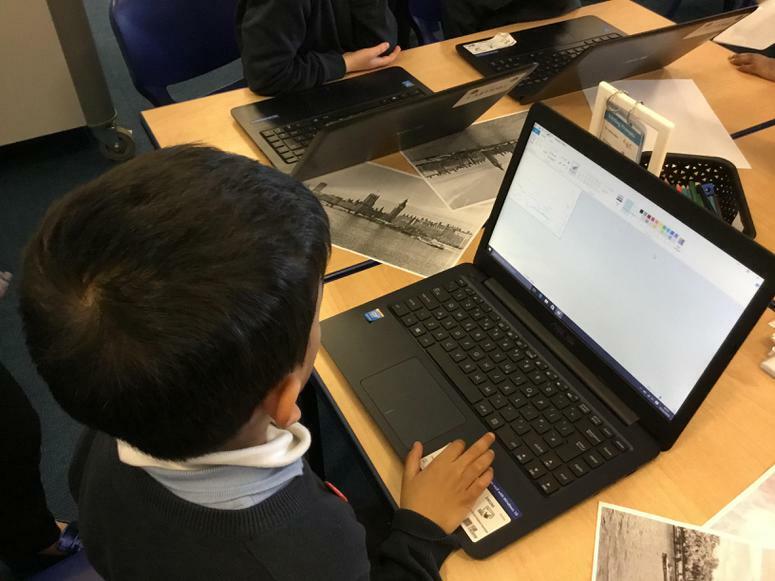 We are keeping on task for increasing periods of time when reading, writing and doing maths, and producing some amazing work. 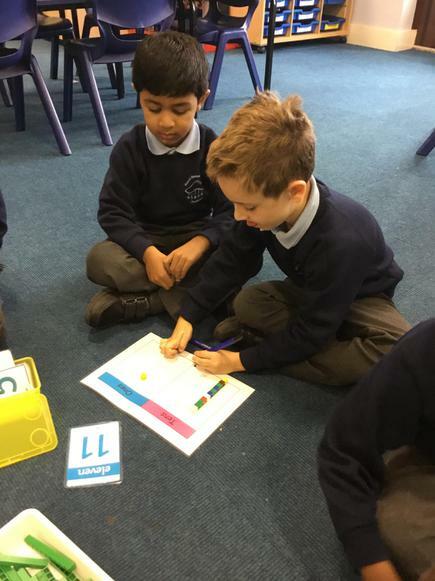 This week we have been researching "Lions" and learning to write extended sentences by joining 2 ideas using "and" In maths we have been recording the tens and units in numbers up to 100 using both equipment and written methods. Welcome back to the busy Summer term. 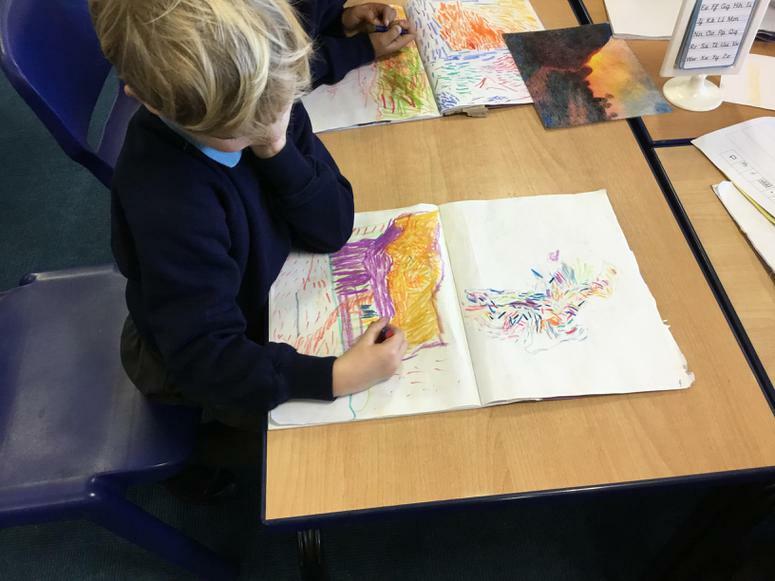 This week we have been exploring our new topic Africa, looking at a special picture from our new book, sorting animals from the Savannah, researching animals and making some super animals for our reading corner. What a brilliant day in KS1 today. 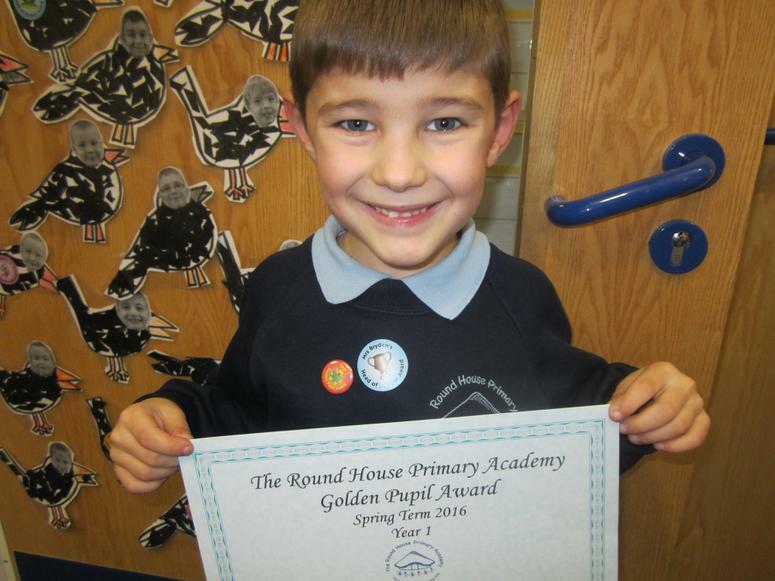 We have celebrated all the fantastic home reading this term. Congratulations to everyone who received a certificate. Miss Childs has set a challenge that for the end of the summer term EVERYONE in KS1 earns a certificate ! I'm confident Blackbirds can achieve this ;) We also had the most wonderful banquet this afternoon to finish our Castles topic. The children feasted on gingerbread and apple pies that they had cooked in the Ice Zone, and were entertained by jugglers, singers, dancers and joke tellers. Welcome back after half term. We have had a busy first week back in Blackbirds. In English we wrote instructions to make our own Wombat Stew after going on a hunt outside to find our ingredients. 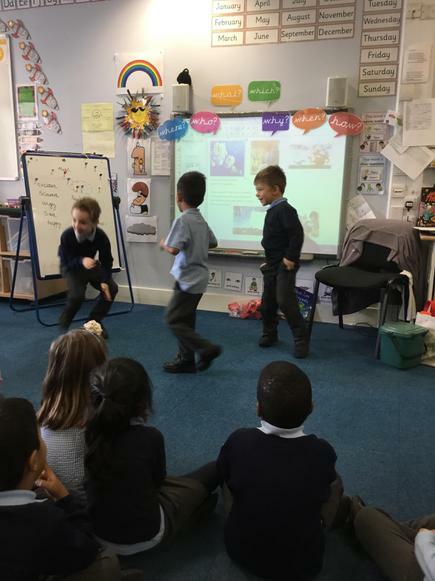 This was the last lesson about Wombat Stew - it has certainly been a favourite with everyone in Year 1 ! Both Year 1 classes will be enjoying Dr Seuss activities on Thursday. If you have a Dr Seuss book at home, could you please pop your name in it and bring it in to school to share on Thursday ? Thank you to the children bringing in a book or two for the Book Swop. 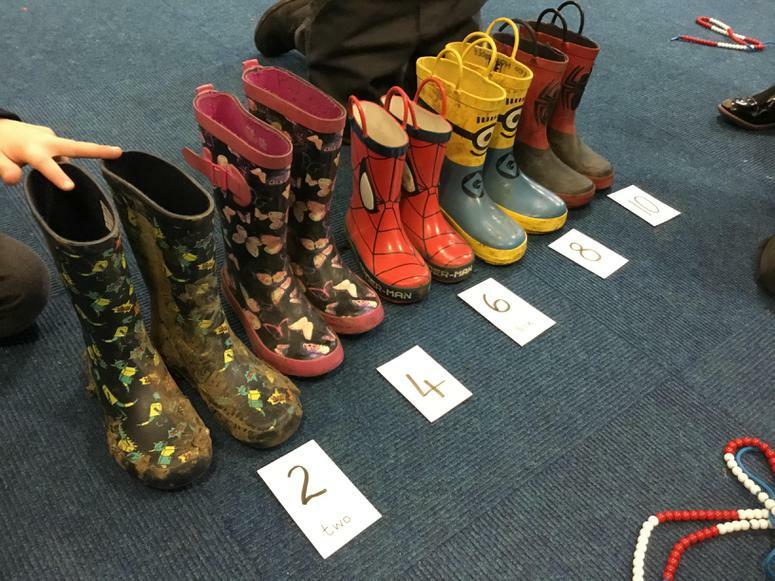 This will happen on Thursday as part of our World Book Day activities. We are looking after the books in class until then, and the children will get their "Book Swop Tokens" (1 per book), on the day. Happy Half term Blackbirds !! Enjoy your week off school - have lots of fun, and keep safe too. Congratulations to all the Blackbird children achieving an award to day - thank you to all the adults at home helping with this important learning :) This week we have written from the point of view of a character in our Wombat Stew story (the wombat wanting to escape, and the dingo after he tasted the stew and realised he had been tricked ) In maths we have been adding and subtracting, and learning when to add or subtract when the problem is a presented as a story. Have a lovely half term, keep safe, warm and cosy in the winter weather ! This week in English we have written instructions about how to make a Wombat Stew, then actually made some to eat ! 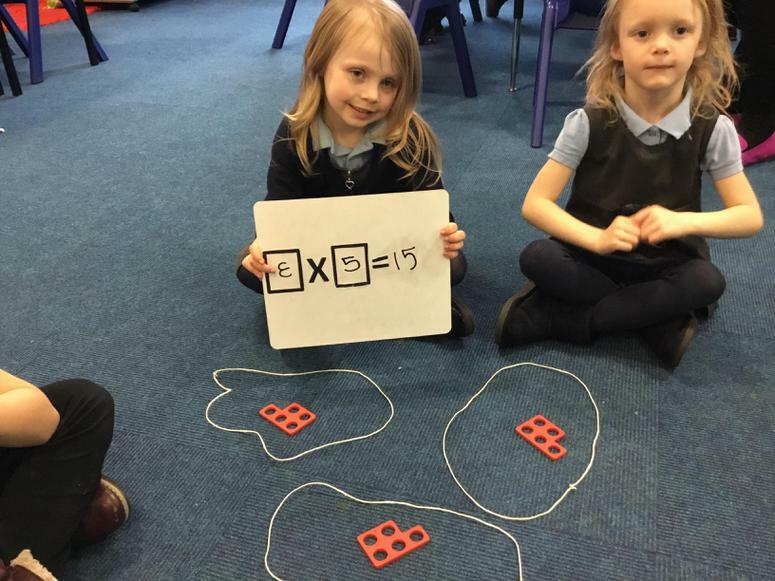 In Maths we have looked at numbers less than and more than a number, then worked on finding out the missing part when you know the whole number and only one of the parts. 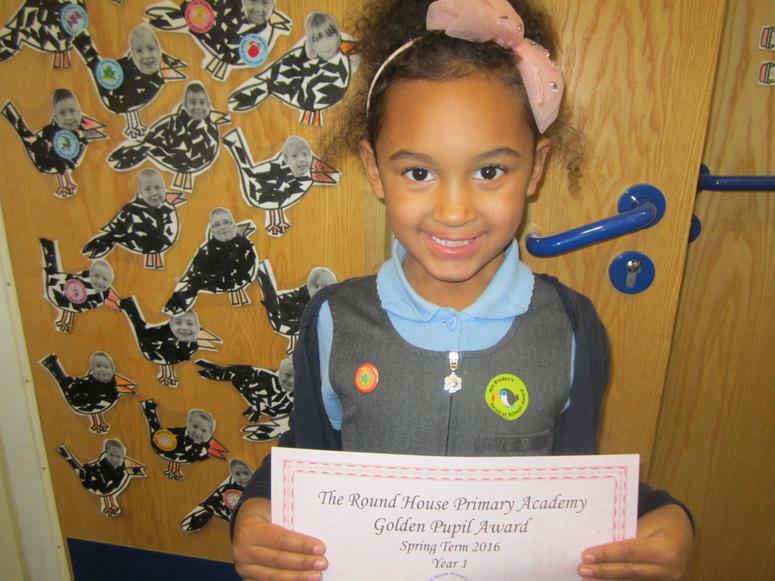 Congratulations to our Golden pupils this week for fabulous ICE zone work, writing, behaviour and attitudes to learning. A super week in Blackbirds. I am so pleased with the fantastic writing the children are doing - telling the story of Wombat Stew. 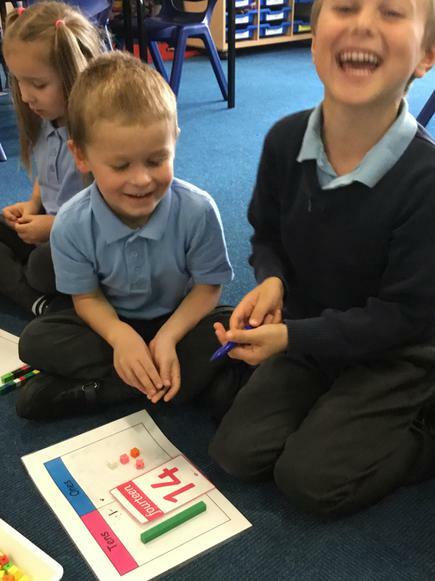 We have been looking at larger numbers in maths, counting forwards and backwards and finding out about the tens and units in numbers greater than 10. Science was huge fun this week, planning and making a team structure using raw spaghetti and marshmallows ! 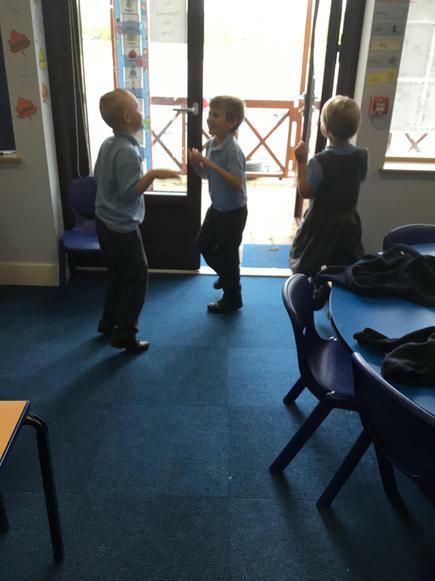 We have started Indian dancing and it is not as easy as it looks :) Congratulations to more busy learners gaining their Word Wall badges this week. This half term Blackbirds have Netball skills on a Tuesday, and Indian drumming and dance for their PE sessions. There were lots of smiles as they enjoyed the first Indian drumming lesson this week. In English we have read most of the story of Wombat Stew, but not the ending. I was so impressed with the thinking, talking and writing of really imaginative predictions for the story ending. Next wee k we find out what actually happened ! 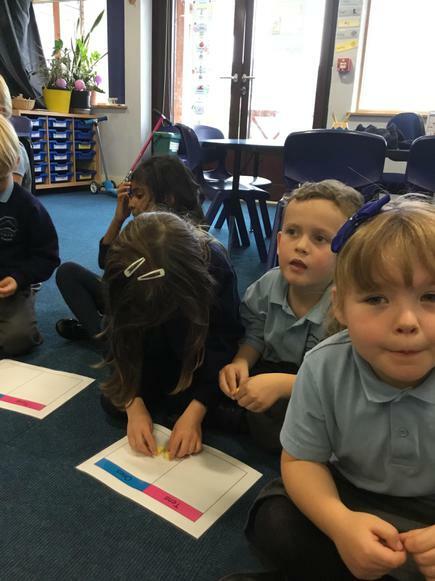 We have continued learning about Time in maths, including reading a clock face for hour, and half hour times, and also being able to make / show these times on a clock face. There were more predictions is Science as the children tested different materials to see if they were absorbent / waterproof / bendy and flexible / transparent or Opaque. We have several children with chicken pox this week - we wish you a quick recovery, and look forward to you being well enough to return to school. Please follow your doctor's advice about this. 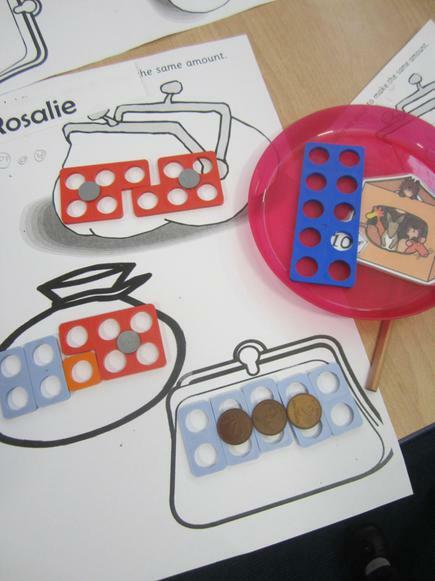 This week we have started our new Science topic about Materials. In this week's lesson we were learning the difference between an object and a material, and thinking about where materials come from, and what they are called. 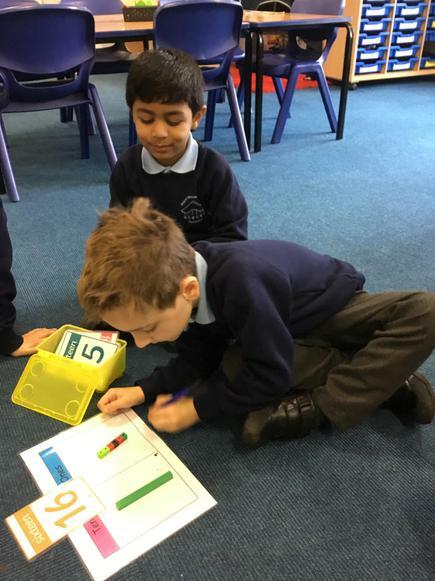 Maths lessons have been about Time - knowing the o'clock and half past times, matching clock faces tot eh correct time, and solving simple problems involving time. We also explored at a picture of a naughty looking dingo holding a pot with some kind of animal in it. The next day we discovered it was our new book "Wombat Stew" We have made predictions about the story and thought of questions we want to know about the story, writing them down with correct punctuation. The most exciting day of this week was Thursday when we all arrived at school dressed up for a day in a medieval castle. We made pots, candles, pies, ink for writing our names with feathers, weaving, leather work and how to use a bow (and imaginary arrow) The afternoon involved a wonderful feast complete with entertainment from dancers, singers, actors and knights. A reminder that PE days are Tuesday and Friday this term - thank you in advance for removing earrings on these days . Welcome back after half term. We have had a great first week in which we have started exploring a new book in our English lessons. It is a non-fiction book about looking after planet Earth. We created a mind map of ideas, and wrote excellent questions about what we wanted to find out about. 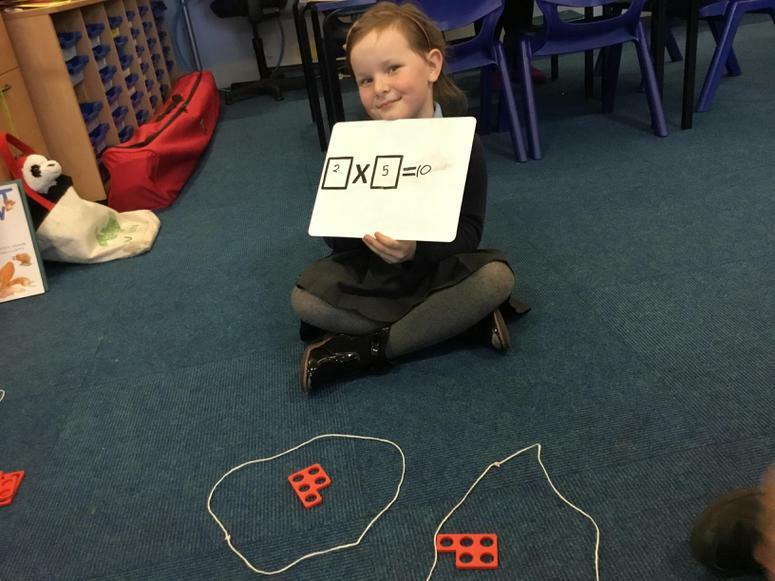 In Maths we have been using the language of position (above, below, top, middle, bottom, next to, between) and discussing shapes. On Thursdays we have a PE coach teaching us new skills, mostly outdoors, so make sure you have a cosy tracksuit top and bottoms to wear. As the weather is now quite cold, all children need a warm hat and coat every day, for break times and daily outdoor learning times. We have started a new Science topic about the weather and seasonal change. Another busy, different week as we start our timetable lessons, and the ICE Zone gets underway. In English we are exploring a new book "Aliens in Underpants" looking at the front cover and asking lots of interesting questions. 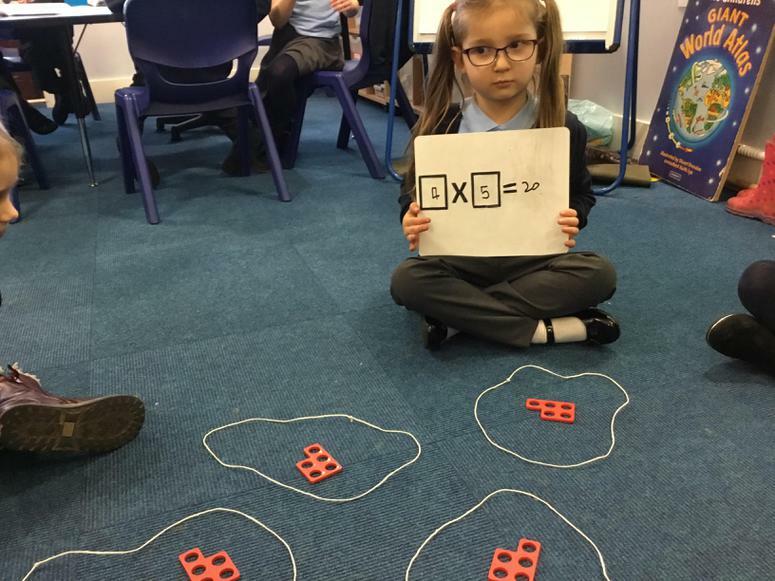 In Maths we have started number work, remembering more than/ less than and doing plenty of accurate counting. 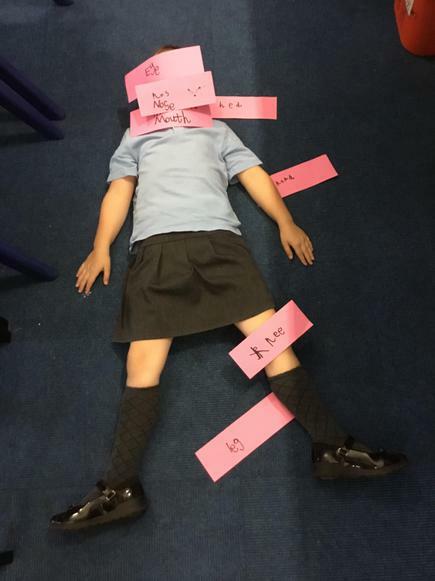 Our Science topic for this half term has also started as we labelled body parts and checked we know where all those tricky body labels belonged. On Thursday afternoon we enjoyed lots of new reading games - making cooked breakfasts, having reading picnics, baking and hunting for word bugs ! This has been Creative Week in school and we have been super busy making Blackbirds for our classroom door, chanting and making some magic butter (it takes a lot of shaking and chanting to get it to happen !) 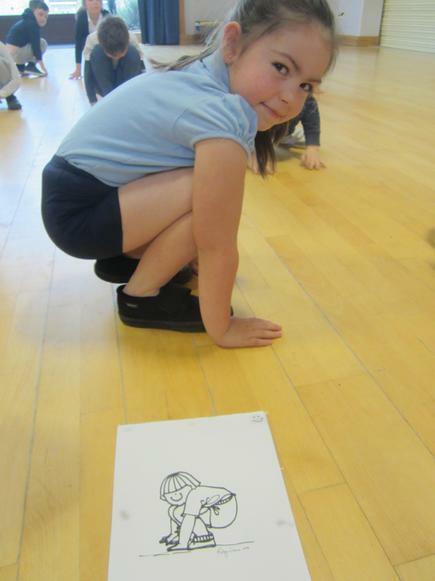 We also drew fabulous self portraits and got to know where everything lives in our new classroom. Thank you for bringing in PE kits and water bottles. It is great to see everything clearly named so we can always return it to the right owner ! The children seemed to have really enjoyed an extra long weekend and came back to school full of energy ! 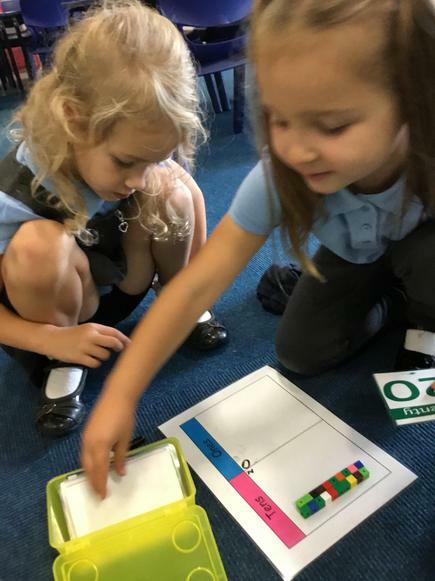 In maths the children enjoyed exploring volume and capacity, with water races outdoors which didn't seem fair when each team had a different sized container to transfer the water. It created a great discussion about capacity and volume ! The children have created their zigzag book about looking after the world, with some excellent, mature ideas. We have an enormous amount of lost property at the moment, all un-named - please look through it, before it is donated to charity. This week in numeracy we have been re-visiting fractions, in lots of interesting ways. 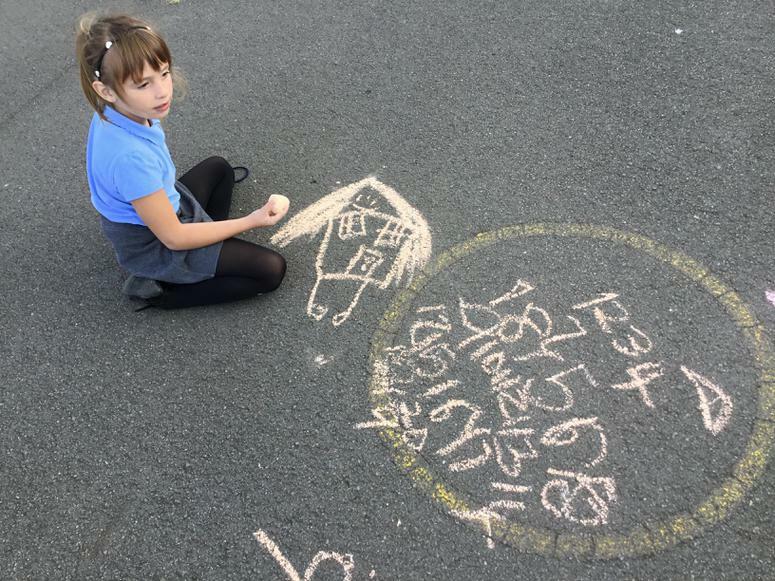 The children drew on the square paving slabs to make half and quarter (in different ways) and also had to cut jam sandwiches into half and quarter shapes. Our non-fiction literacy learning continues with dramatizing the ideas in the book, and planning a zig-zag book about how to look after our world. In science we gathered information and data to make a block graph of the pets we have n Blackbird class. 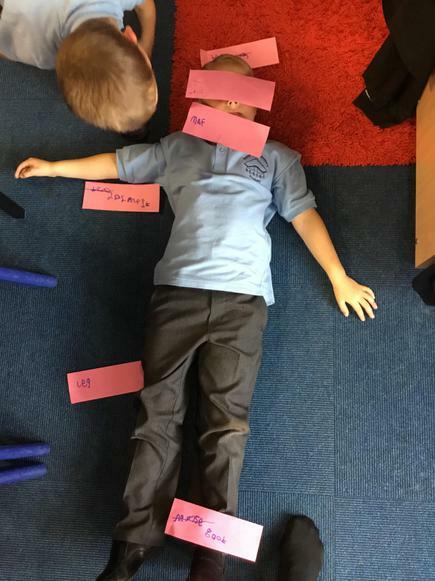 The children found it interesting to see how this information could be displayed as a graph. 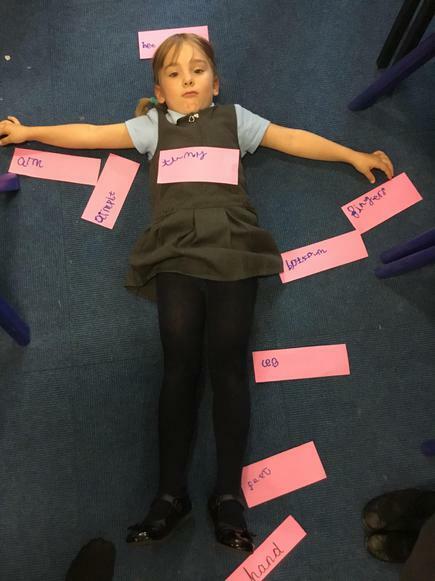 This week in Blackbirds we have started a Poetry topic in Literacy. 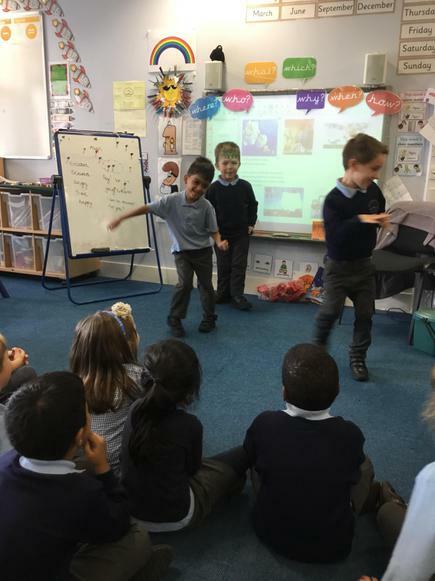 We read a fantastic poem about Spaghetti, and while exploring an enormous mound of wriggly pasta thought of a huge bank of super words and phrases (my favourite one being "its like a volcano of noodles !") We have written our own poems about a favourite food, and started making Poetry books. 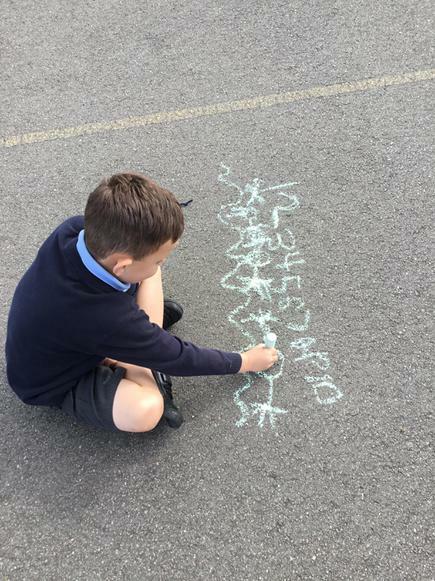 In Maths we have explored addition and subtraction, reading word problems and having to decide if we need to add or subtract the numbers involved, and then write the number sentence with the correct symbols eg If there were 8 cars in the car park and 5 drove away, how many would be left? This can be quite a tricky skill, and a good one to try at home ... The children are thoroughly enjoying Indian drumming lessons, too. Thursday of this week was World Book Day ..the whole school became a sea of book Characters, and the children visited different classrooms in KS1 to enjoy activities about different books. 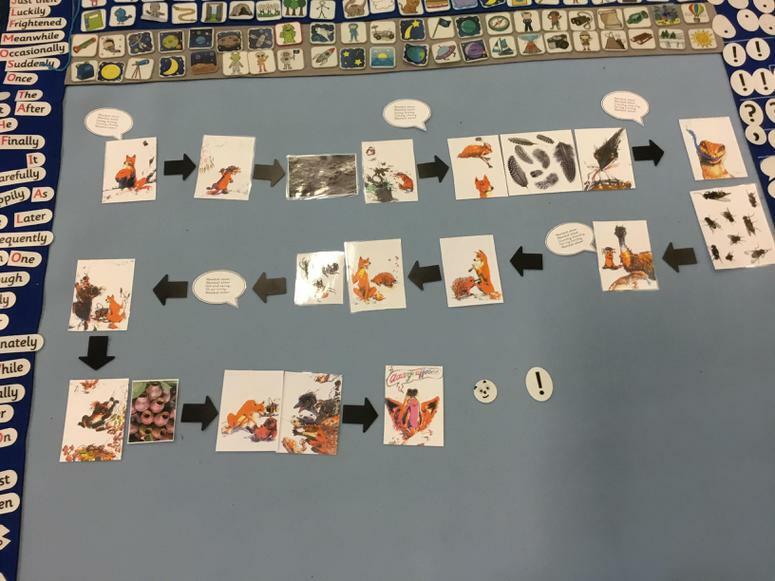 This week was Book Week in school and it was packed with brilliant book related activities - Book Swops, come in and read afternoons and a visit from an African story teller, too Blackbirds enjoyed Handa's Surprise as our book of the week. Some new experiences as we tasted the fruits from our Book Week story "Handa's Surprise" Most interesting was the inside of the passionfruit... and most of the following unusual expressions were from the avocado, pineapple and mango ! 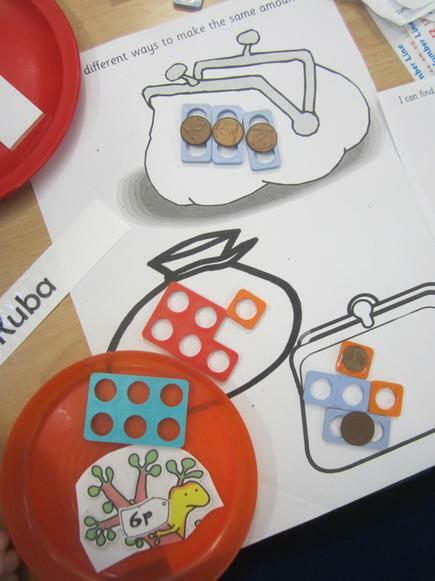 This week Blackbirds have been in the pet shop enjoying using coins to add prices, and finding different ways to make the same total - this is a great home activity if you have lots of 1p 2p and 5p pieces. In Literacy we have made story maps of our Wombat Stew book. 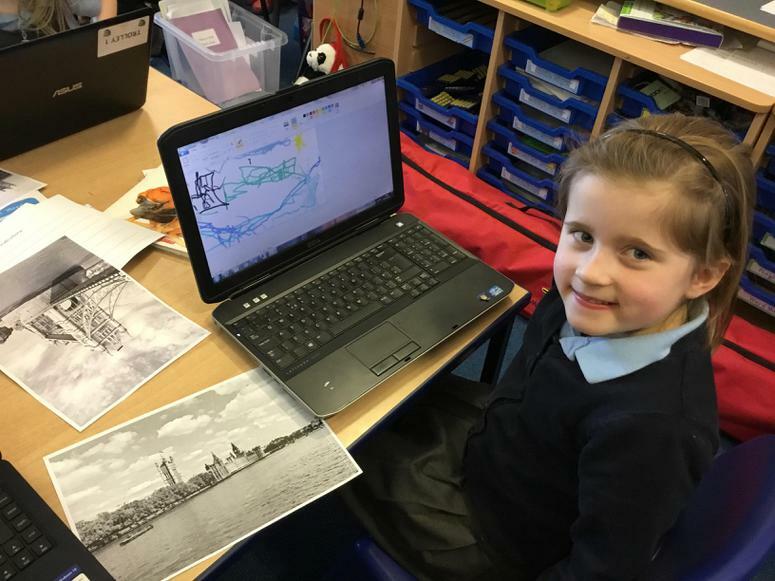 We then used these maps to write the story over a couple of days. Our football and netball lessons continue (Tuesdays and Fridays PE - please could children wearing earrings not wear them these days, or be able to remove them for PE ? ). In Science we are learning about Materials - what things are made of (eg fabric, wood, metal, plastic, glass etc) and is something in the environment man-made, or a natural feature ? We have been very busy !! In maths lessons this week we have been learning about 2D and 3D shapes. We have been naming and describing circles, squares, rectangles, triangles, octagons, pentagons, cubes, spheres, pyramids and cones. We found out the name of our book - Wombat Stew - and predicted the ending. On Thursday we read the final part of the story and enjoyed acting it out. 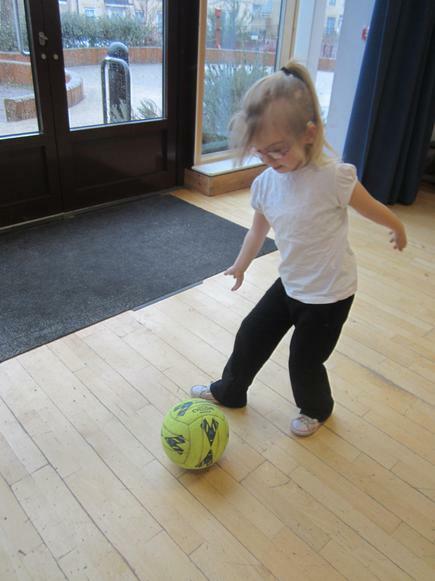 In PE we have started football on Fridays.